The most annoying thing recruiters have to deal with is an uncommitted and time-wasting job candidate. You know who I mean; the ones that seem really interested in the role, say all of the right things and then at the last moment, when you offer them the job, they decide they’re not interested. Perhaps for completely legitimate reasons. Perhaps because they get given a counter-offer. Perhaps because they chicken out of leaving their current place. It’s so annoying and common, in fact, that many recruiters (including ourselves) have started asking targeted questions, to find out whether someone is actually really serious about the role. Or whether they’re likely to flake further down the line! So if this is the kind of thing you’ve had issues with in the past, then here are the kinds of questions you could (and should) be asking. Ok, this is kind of a cruel question! But it will give you a little bit of insight into how much the candidate will actually enjoy the role once they start. And whether they truly understand what they’ve applied for. If they’re excited about the bits of the role they’ll be doing quite often, then that’s great. But if they’re not (and even say they’ll dislike those bits) then they’re going to have issues. The perfect candidate will remain positive about all aspects of the role (no complaining) but will show passion for the bits that will be their main responsibilities, in particular. Light-hearted and balanced answers like the above show that they understand that there are some parts of the role that they may not love, but that’s life. It also shows that they actually understand the role and what it entails (warts and all). Now, obviously, you don’t want to hire someone who’s going to show up, get trained and then waltz off to another company – or go travelling etc. So this question may just reveal whether they’re serious or not. (Of course, they could just fib, which is why it’s important to keep an eye on their body language too while they answer all of these questions). You don’t want a candidate who just says “forever” as this is a bit unrealistic. People grow and circumstances change, it’s ok, that’s life. Use your gut with this one. Are they really that serious? Do they genuinely seem passionate about the role? Is their body language excited and passionate or resigned and nonchalant? You’re looking for someone who is genuinely interested in progression, but who is also ready to settle down and stick with your company. This is a good question because it should reveal why the job candidate is actually looking for a new job in the first place. They must have a reason for wanting to leave and they must think that your company would be better for some reason. Perhaps they’re just looking for more money or a promotion, but why at your company? What made you stand out? Or are you just one of the ones who got back to them? You want a job candidate who has researched the role and your company and who is genuinely interested in becoming a part of it. If they can’t give any reason, then there’s a big chance they’re not really that bothered; perhaps they’re just looking for any job they can get or maybe they attended your interview on a whim. Worst case scenario, they’re leaving their current position because of something untoward. Some candidates may shoot themselves in the foot. They may admit that they’re desperate, they may start badmouthing their current employer or they may say they’re looking for something you can’t actually offer them (like opportunities for progression). It’s really important that you don’t hire someone if you can’t offer them what they’re looking for. You will just end up losing them in a couple of months and having to find someone else new! Firstly, you don’t want a candidate who says “everything” (so… why are you leaving?). Secondly you don’t want a candidate who says “nothing” (why so negative?). What you’re looking for is someone in-between; a balanced answer that reflects some of things the new role will offer. Another way to test a candidate’s commitment is to see how well they prepared for the interview. …should be easy-peasy for them to answer. If your candidate gives a generic answer that doesn’t really tell you anything about your business (that isn’t immediately obvious) then it’s pretty obvious they’ve not done their research. And if they haven’t done their research, are they really passionate about getting the job? These are much tougher (because they’re so specific) so it is worth bearing in mind the kind and seniority of the role when you consider asking them. And you should definitely be impressed if your candidate can answer these. There’s a reason why recruitment guides, blogs and consultants always advise you to end with this question. A candidate who’s passionate and committed to taking on the role will already have a bank of sincere and investigative questions ready for you. 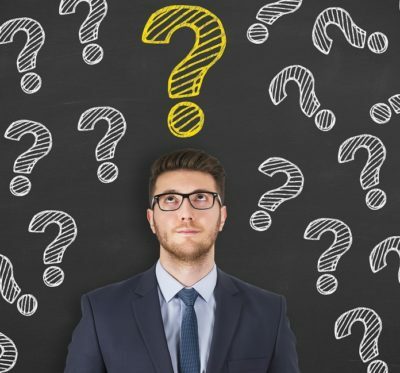 They’re likely to ask questions that reveal how well they’d fit into the position, the team and the culture and will attempt to find out more about the depths of the business. So basically, just questions that show a real, genuine interest in the role. It can be really frustrating when you lose a candidate, last minute (especially if you’ve actually gone to the trouble of making them an offer). But look on the bright side! If you’d like to find out more about how to spot time-wasting candidates earlier in the process, check out this blog: 13 Warning Signs That a Job Candidate is Wasting Your Time. Or if you’d like to receive a quick weekly update with the latest, feel free to subscribe to our blog here. Have you ever lied in an interview? Not even a tiny, little, white lie..? Check out Anthony Hughes, our (CIPD qualified) Director of Recruitment & Training getting grilled on the topic, by Nick Peters from Share Radio. What Is A Psychometric Test? Everything You Need To Know To Make Psychometric Testing Easy. Considering psychometric testing as a form of candidate assessment? 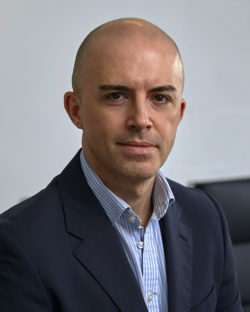 James is the founder and owner of Coburg Banks and a recruitment expert from Sutton Coldfield in the UK. He regularly advises companies on how to improve and get the maximum ROI from their recruitment processes.